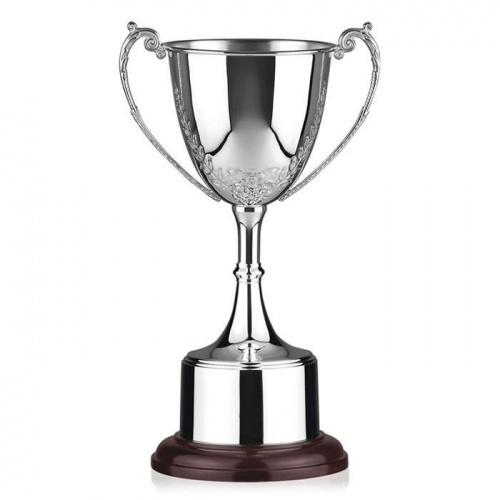 These superb 'Preserve' silver trophies are handmade in Britain and are supplied with a lifetime warranty. They feature extensive handchased decoration on the body of the trophy cup. Standing 12in tall, these premium quality trophies are supplied on a circular mahogany base complete with silver plated plinthband.